We have been watching a TV show that has aerial imagery of cities around the US for a 24 hour period (clearly not always a consecutive 24 hours but it is TV!). 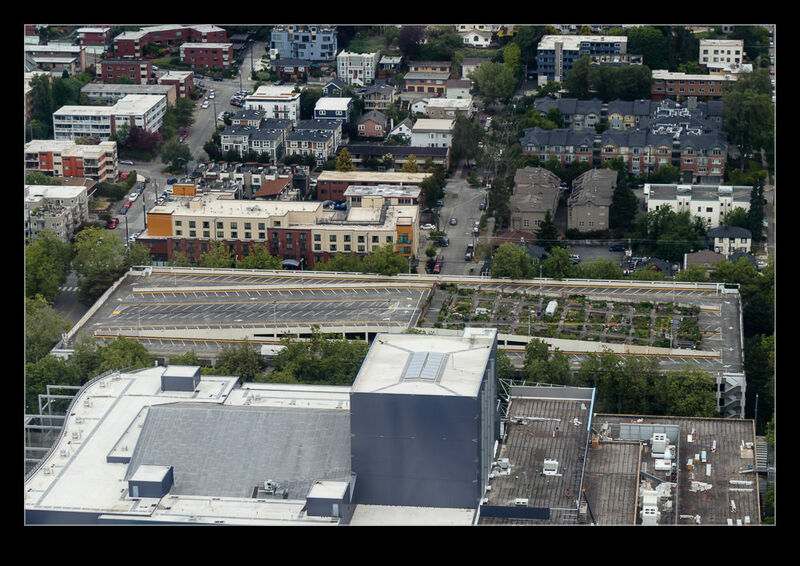 One of the shows had Seattle and they covered a parking garage that has a garden on the top level. I decided I needed to find this when up the Needle and it wasn’t hard. There it was beneath us just as we saw it on TV. The Airstream in the middle is apparently for the people that manage the lots. Quite a cool location. 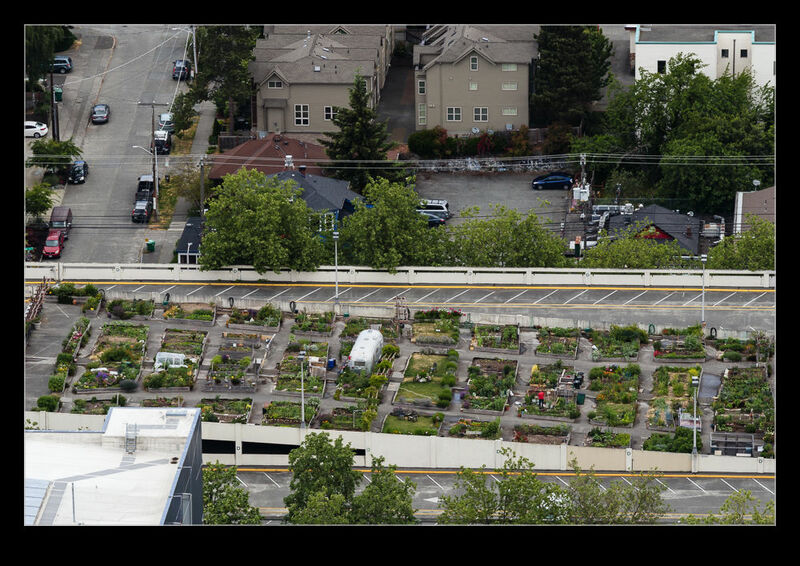 This entry was posted in Pacific Northwest, photo and tagged garage, garden, green space, lot, parking, photo, seattle, washington. Bookmark the permalink.